At the end of August, my UK peeps can find my work in the classic “Beano” magazine. I’m taking on a lot of the “Make Me a Menace” and “Tricky” prank chores. Many US fans won’t know the pub, but might recognize one character from an 80s cartoon that was on Nickelodeon (partnered with Danger Mouse)… Bananaman! (Like Shazam, only he transforms when he eats a banana). You can watch eps for free at Beano.com! I’ve only drawn one strip with Bananaman, but I hope to get more in the future! It’s a totally different style for me, but I love the challenge. 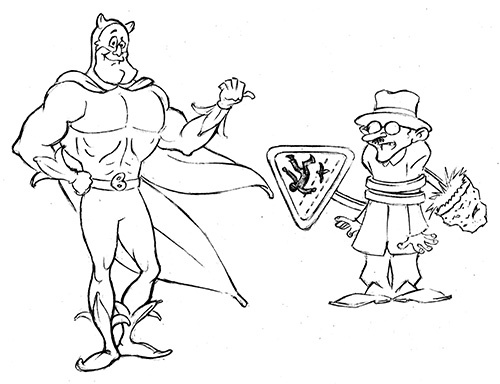 Here’s an audition sketch of Bananaman!